"Lovebug" is the second official single by the American pop band the Jonas Brothers that was released from their third studio album, A Little Bit Longer, on September 30, 2008. 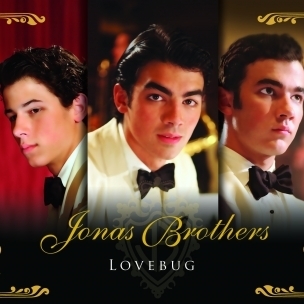 Disney Channel featured the world premiere of the "Lovebug" music video on October 19, 2008 (8:55 p.m., ET/PT). An exclusive look at the making of the video was presented throughout the evening (8:00- 9:00 p.m., ET/PT) during episodes of Hannah Montana and Wizards of Waverly Place. Directed by Philip Andelman (who has directed music videos for John Mayer and Demi Lovato), is a period piece that depicts the love story between a young woman and a sailor as he is preparing to deploy to war. 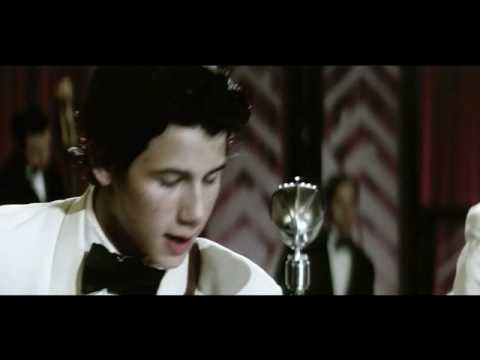 Kevin Jonas said that The Notebook was one of the inspirations for the video. The second official single "Lovebug" was revealed at the 2008 MTV Video Music Awards, where they performed this song. It was officially released on September 30, 2008. The official music video for "Lovebug," premiered on Disney Channel on October 19, 2008.